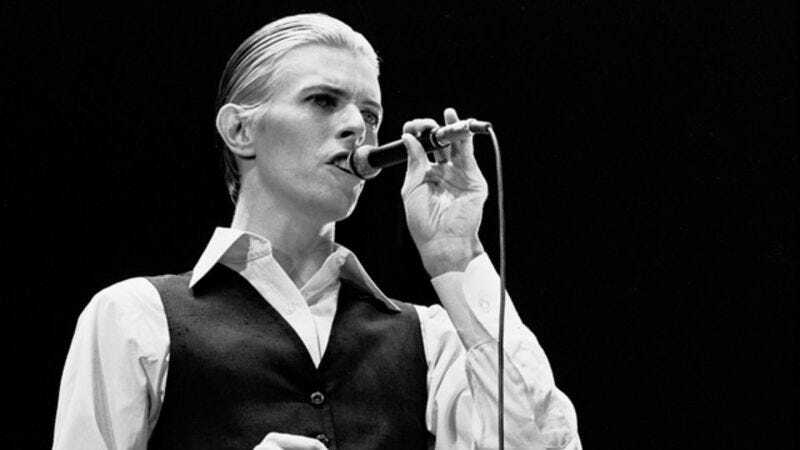 For almost five decades, the world has known that trying to anticipate the moves of David Bowie is like trying to navigate your space capsule back to Earth while it helplessly drifts off into space. Sure, your it might know which way to go, but you’re better off telling Ground Control that you love your wife and then simply resigning yourself to the fact that there’s nothing you can do. Anyway, Bowie’s crazy personas and stylistic shifts are always interesting, and his latest identity is no different: According to The Hollywood Reporter, Bowie has now transformed himself into a guy who writes TV show themes. It’s no Ziggy Stardust or Thin White Duke, but “guy who writes TV show themes” is still pretty cool. The TV show that Bowie wrote the theme for is The Last Panthers, a “diamond heist drama” from Sky TV that’s about a real gang of Balkan thieves. Bowie reportedly wrote the song after meeting with the show’s director, Johan Renck, who described Bowie’s response to the idea as “precise, engaged, and curious.” We don’t know what the song will sound like, but it will be “dark, brooding, beautiful, and sentimental.” Also, apparently it’s the first original music that Bowie has written for a movie or TV show in 20 years, suggesting that the world is finally ready for Bowie’s “guy who writes TV show themes” character. The Last Panthers will air this fall in Europe, and it stars Samantha Morton, Tahar Rahim, and John Hurt.